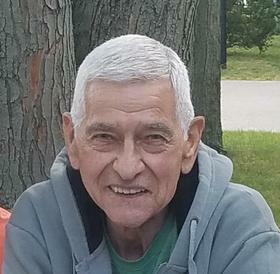 Tom Olmstead, age 77, of Mattawan died on Thursday, March 1, 2018 at Bronson Hospital. He was born on August 31, 1940 in Grand Rapids and grew up in the Grand Rapids area. Tom was proud to have served his country in the United States Marines. On April 19, 1980 he married Carol Wright and he has lived in Mattawan since 2001. Members of his family include his wife Carol, 7 children: Simone (Lincoln) Olmstead-Jenney, Carmon (Herb) Westburg, Shenda Arndt, Tom Olmstead Jr.(Karen Motter), Kristen (Kirby) Launius, Matt (Dana Polley) Olmstead, Mark Olmstead and numerous grandchildren and great grandchildren. Tom has been cremated and a Memorial Service will be held at 11 am on Monday, March 5th at the Faith Baptist Church 5670 Murray Street, Mattawan. The family will greet friends immediately following the service with a lunch in the Church’s Fellowship Hall. Please visit Tom’s personal web page at www.BetzlerFuneralHome.com, where you can archive a favorite memory or photo and sign his online guestbook. Memorial donations may be made to Faith Baptist Church. Arrangements by Betzler Life Story Funeral Home, 6080 Stadium Drive; Kalamazoo (269) 375-2900.